Two-sport athlete at the Eastside Catholic School in Sammamish, Washington. Seattle Starz: With the start of a new season, what are you most looking forward to in your sophomore season at Tufts? Arend Broekmate: I’m most excited to see how the team responds to adversity. We graduated a lot of people last year, so it is a great opportunity for a lot of younger guys to duke it out in practice and earn a spot to play. So, I’m excited to see a lot of my friends and myself get new opportunities to help the team. I’m also just looking forward to making all of the hard work of the preseason tangible in the form of wins. Nothing is better than winning games with the guys that have been grinding with you in the off season, and seeing all of our hard work pay off. 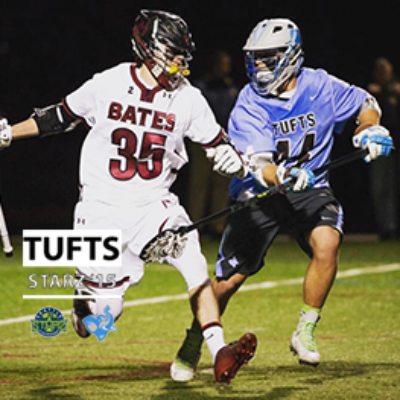 SS: What was it that made Tufts the perfect school and lacrosse program for you? AB: Tufts was just a really good fit for me academically and athletically. In terms of lacrosse, we really like to push the pace. There’s no ‘yellow’ call for us; we fly up and down the field and that’s something I’ve always loved doing. Also, the program has a really special culture around it that has been built up, that is kind of centered on hard work, being a good person, and being a good teammate. It’s hard to fully explain, but it was something that really drew me in to the lacrosse program. Academically, Tufts has a lot to offer too. It’s a tough school that can really challenge you at times. But in the end, it will be worth it to grind for these four years so that I am set up well in post-collegiate life. SS: The Jumbos made it to championship weekend again last year. What was it like to be part of that? AB: It was really cool. Not a lot of people get to ever make it to a National Championship in their four-year career, and getting there as a freshman was a blessing. The hype around the weekend was awesome, we got some cool gear, got to do some things that not a lot of D3 lacrosse players ever get to do (sign autographs, play in an NFL stadium in front of thousands of fans, etc). Mainly though it was a blessing because I saw the work that it takes to get to that spot — a spot that the program and I expect to be at the end of every year. That game serves as motivation for me and my team every day. We know we can’t take anything for granted and that getting to that point doesn’t just occur out of thin air, so we’ve all been working hard, and will continue to work hard to try and get back to Championship weekend. SS: After dropping a one goal heartbreaker to a talented Salisbury team last year, Tufts begins the season ranked national #2 in the polls. What’s it going to take to raise the trophy at the end of the year? AB: Game one, and then game two, and so on. Every game is a challenge that we are looking forward to taking on, and there isn’t any time to look past any opponent. I just want to take this season one game at a time and hopefully that will take us to Championship weekend. SS: What is your mindset coming into the season this year as a sophomore who’s had a taste of championship level lacrosse, rather than last year as a new freshman? AB: As a sophomore, I’m just coming in with more confidence than I did as a freshman. I played a bit last year, and was shown the ropes by the older guys, so I know now how I need to comport myself when it comes to being on the field, at practice, and in the locker room. So, I guess my mindset is just more focused, my heads screwed on a little more straight now that I know what going into season really means. I’m pumped though — very excited to fight for playing time, to play with some of my best friends, and to compete daily. SS: What do you see being possibly the biggest challenge(s) you’ll face this season? AB: I think one of the bigger challenges I will have to face is just making sure that I’m taking care of more than just myself. Last year when I was on the field I had a bunch of upper classmen who were taking a lot of strain from me by talking loudly, directing me, and helping me out as I went and it made things much easier for me. Now that I’ve been around for a year it’s my turn to help out younger guys, and even to help with the older guys when they need it too. I trust all of them to have my back, and to help me out, so I need to focus on doing the same for them day in and day out. SS: To see a freshman contribute at a high level to a national powerhouse program isn’t something you see every day, what was it that put you in that position? AB: I think if I were to pin it on one thing it would be buying in to the program’s culture. I just followed the lead of the guys ahead of me and tried to work just as hard as they did, and that put me in a good position heading into season. Having a bunch of incredibly helpful and capable teammates who were patient enough to help me through learning the defense, and were incredible on field and off field role models helped me understand what it would take to play. I really just followed those guys as best I could which ended up getting me some time and some valuable experience. SS: What part of your high school lacrosse experiencebest prepared you for success at the NCAA level? AB: I was always pushed to work my hardest and play my best. I trained with Lewis a lot, in the weight room, and on the field, which helped me get my body ready to handle the rigors of college lacrosse as well as tuned my skills up so that I handled well, had good footwork, and knew how to shoot. All of the guys in the Starz program were always very supportive of me — develop me as a player, so the program helped me a lot. 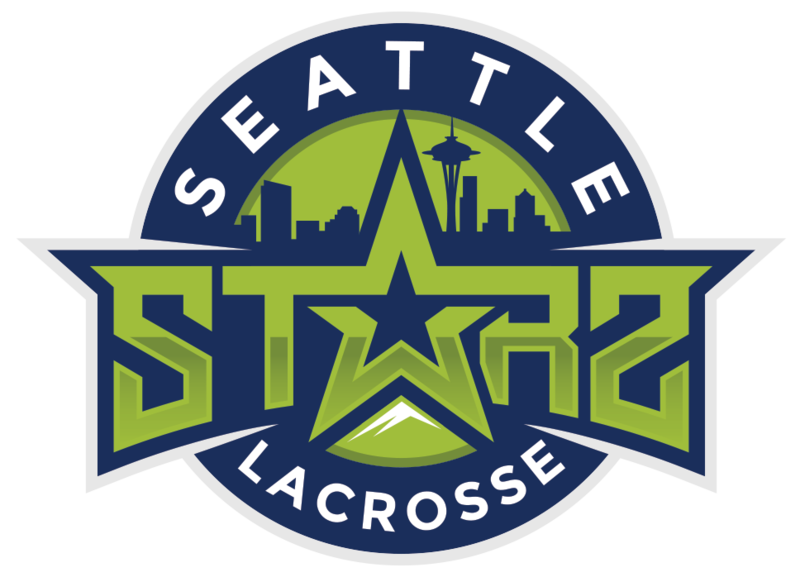 SS: What are some of your favorite Seattle Starz memories? AB: I hated the flights, but loved the van rides we took all throughout the east coast. I had some crazy good times with my friends, the coaches, and team parents (Shout out to Julianna) in those vans. It made all of us get really close, literally, but also just made our friendships grow and strengthen. I love the guys I played with and played for. AB: Hit the wall. Having a good stick from a young age on is incredibly important. If you are comfortable handling the ball, at any position, the game will start to slow down for you. That’s my specific piece of advice, and then a few pieces of general advice are to work hard, be coachable, and be nice to the people around you. No amount of talent is more important than those three things, I think those are just good pieces of life advice that I’ve had drilled solidly into my head since being at Tufts and are things that I’m still constantly working at. SS: A lot of lacrosse players are superstitious; do you have any pregame rituals or superstitions? AB: I like to do everything the same way every game day for the 2 or so hours leading up to the game, but I guess my one thing is I always send a snapchat out once I have my eyeblack on and I’m getting pumped up for the game, just chilling by my locker. AB: The night before every game I eat Chipotle. It’s not the last thing I eat before every game but that’s a tradition I have. SS: Give a question for the next player that we interview. AB: Which professional or other college player do you model your game after? SS: Thanks for the time Arend, and best of luck this coming season!